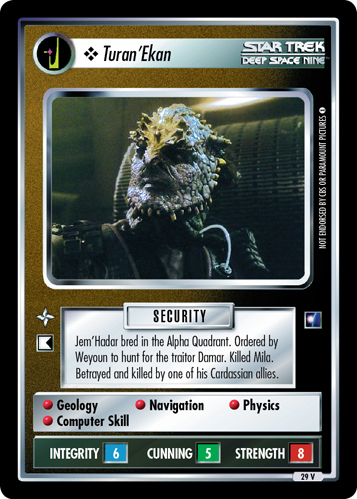 Jem'Hadar bred in the Alpha Quadrant. 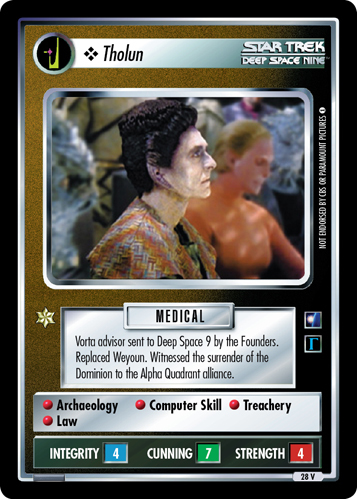 Ordered by Weyoun to hunt for the traitor Damar. Killed Mila. 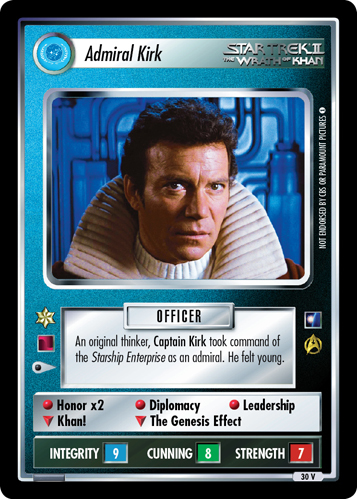 Betrayed and killed by one of his Cardassian allies.